Fitbit has just updated it’s MobileTrack app for the iPhone 5s to offer basic Fitbit tracking using the iPhone 5s’ M7 motion coprocessor. NEW Fitbit app now features MobileTrack which offers basic Fitbit activity tracking directly using your iPhone 5s. 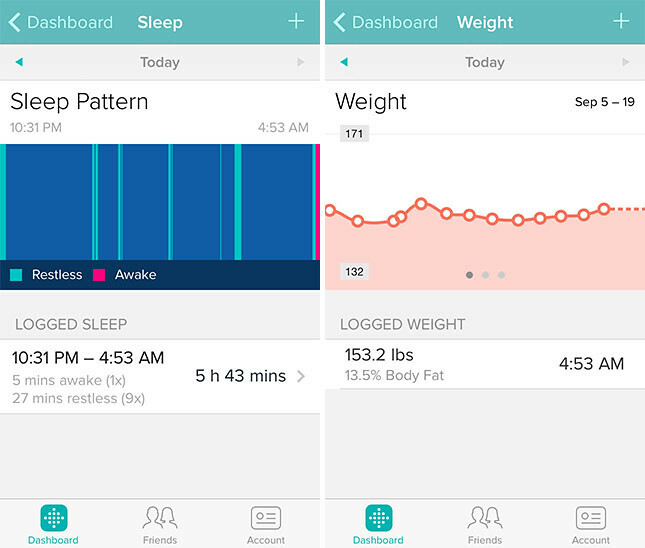 This app connects with Fitbit’s line of activity trackers and Aria Smart Scale to get access to all your stats on-the-go. • TRACK ACTIVITY: Accurately track your all-day activity including steps taken, distance traveled, calories burned, active minutes, and more using your Fitbit tracker. With MobileTrack, iPhone 5s users can now experience the power and accuracy of Fitbit right on your smartphone using the M7 coprocessor to track your basic activity. • SYNC WIRELESSLY: Fitbit trackers continuously sync your stats with your iPhone 4S and later to give you real-time access to your progress without plugging in. • SET GOALS: Set goals, view progress, and track your trends with easy-to-read charts and graphs. • LOG FOOD / WEIGHT / SLEEP: Log food, water, weight, sleep, and workouts to get the full picture of your health. Connect wirelessly to a Fitbit Aria Smart Scale to seamlessly track your weight. • STAY MOTIVATED: Challenge, track, and share your stats with family and friends. Leaderboards, notifications, and badges help you reach your goals faster. 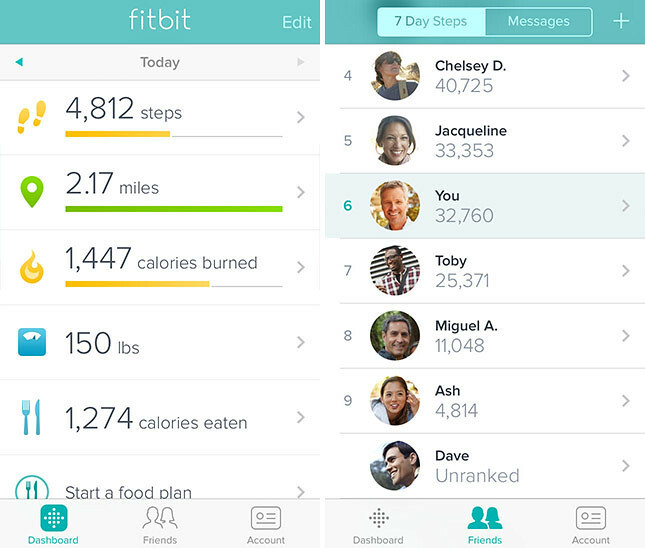 • The Fitbit app now features MobileTrack which offers basic Fitbit activity tracking directly using your iPhone 5s. • Redesigned Silent Alarms settings. Set, switch, edit, and remove alarms faster than ever. • Set your own custom water goal. • Redesigned sign-up and sign-in. • Tap on people in Friend Finder to see their profile. • Swipe on friends on your leaderboard to Cheer, Taunt, or Message. • Tap on tabs to auto-scroll to the top.